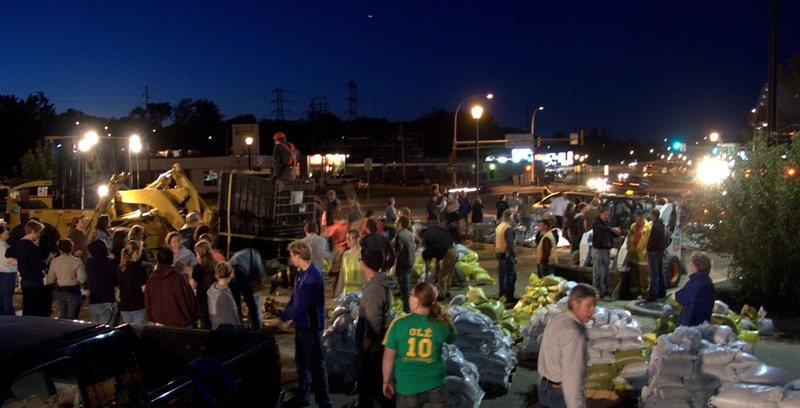 The Northfield News has a Remembering the Flood of 2010 feature in the Sept. 24 print edition. Only one of the four print articles is viewable from its online News category/section (and, strangely, none from its Flood of 2010 section). So I dug around and found them, as I think it’s a great follow-up to the flooding post-mortem blog post and discussion we had here on Locally Grown for several months starting a few days after the flood. Flooding post-mortem: What went right, what went wrong, and what can be learned for next time? 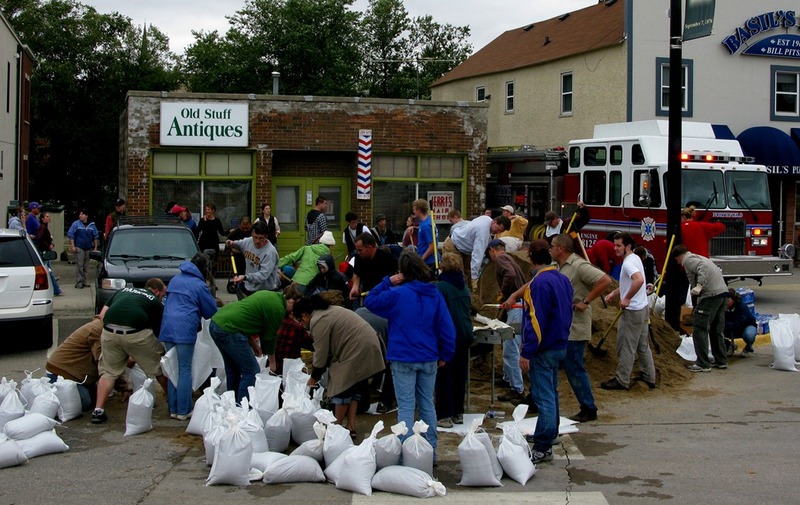 As some people have noted in the comment thread attached to my photo album blog post, there were a lot of smiles to be seen Friday and Saturday as citizens and students joined with community leaders and City of Northfield staff to take on the high water. But it also appears that some things did not go well, and not just because of the power of Mother Nature. So let’s tease out the good, the bad, and the ugly of how this ‘event’ was handled so that when the next big one occurs, we’re even more prepared.